Virginia junior guard Kyle Guy announced Tuesday he's signing an agent with the intent to enter the 2019 NBA draft after winning the 2019 NCAA tournament championship with the Cavaliers. The 21-year-old Indianapolis native was named the Most Outstanding Player of the Final Four after leading Virginia to victories over Auburn and Texas Tech to capture the national title. Guy averaged 15.4 points, 4.5 rebounds and 2.1 assists while shooting 44.9 percent from the field, including 42.6 percent from three-point ranges, across 38 appearances during the 2018-19 season. The Lawrence Central High School (Ind.) product was named First Team All-ACC and Third Team All-American each of the last two seasons with the Cavs. Guy likely capped his collegiate career by scoring 24 points in the team's triumph over the Red Raiders in the title game last week. "Yeah, we came in here together and said that we were going to win a national championship, and to be able to hug each other with confetti going everywhere and say we did it, it's the greatest feeling I've ever felt in basketball," he told reporters afterward. "Though Guy lacks the size and athleticism of a typical NBA off-guard, his shooting could be worth gambling on with a second-round pick. Making 46.3 percent of his threes and 43.8 percent of his pull-ups, his shooting percentages also rank in the 96th percentile on spot-ups and the 84th percentile off screens. Guy could be a shot-making specialist, though it's difficult to picture him defending NBA 2s." 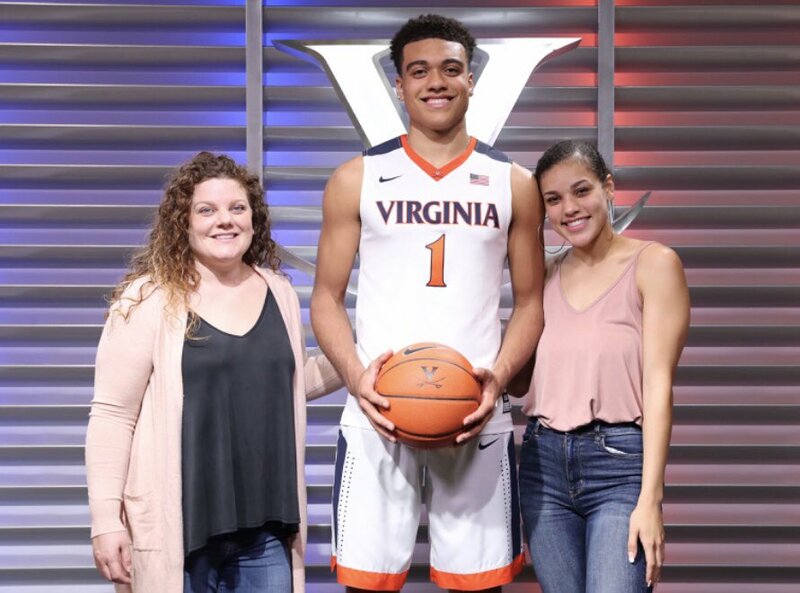 The shooting guard can now go through the NBA draft process with hope of determining whether it's worth staying in this year's class or if he should return to Virginia for the 2019-20 campaign. Guy has until June 10 at 5 p.m. ET to withdraw from the draft.